This smothered chicken tortilla sandwich is sooooo delicious, I'm certain it will become one of your favorites! 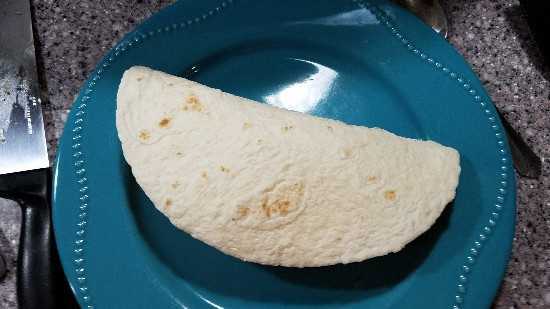 It's based on a plate at a local restaurant here in Farmington, NM called the Chile Pod. 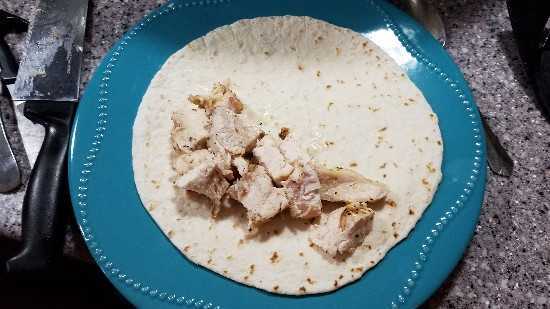 And on their menu they call this a Del Prado Chicken Sandwich which is from their other family restaurant named Del Prado Restaurant in Cuba, NM. If you ever get a chance, it's a must stop if you are hungary for some good Mexican food. So, this version isn't exacty a clone or exact recipe but it's still pretty darn good. 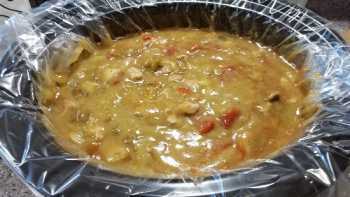 First of all you will need to make or have on hand from leftovers some pork green chili. 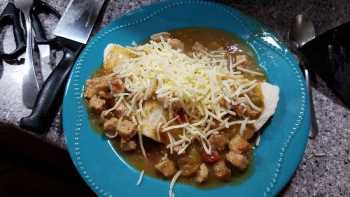 You can find my easy recipe on Man Kitchen Recipes by doing a quick search for Pork Green Chili. Pork green chili - depending on how many you are serving. 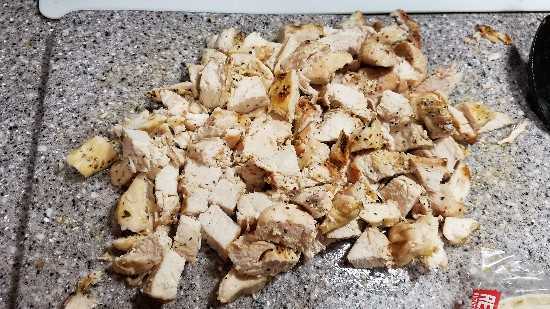 A whole pot from my recipe is enough for at least 10 - 12 people. 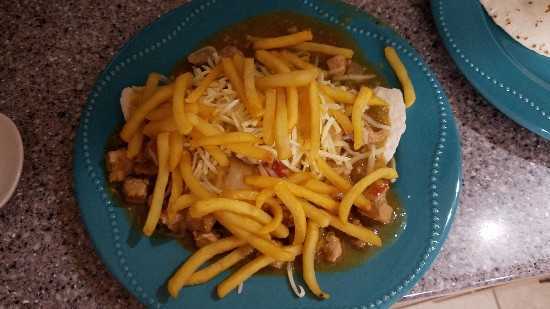 1 large bag of frozen shoestring French fries. Heat your pork green chili until hot. Bake your French fries as directed on the package. Add approx. 1 cup of your cubed, grilled chicken on one half of your flour tortilla. 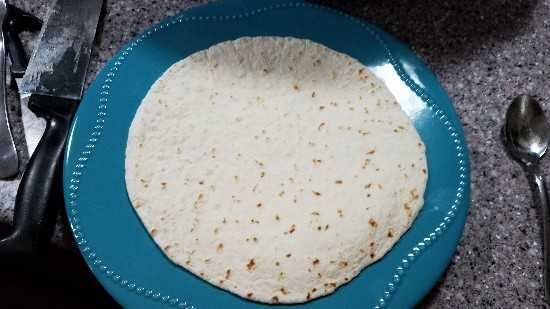 Fold the tortilla over and center on the plate. Using a ladle, or large spoon. Smother the chicken tortilla sandwich with the pork green chili.